We are celebrating the passage of SB 1409 in California, which fully legalizes hemp farming in the state. 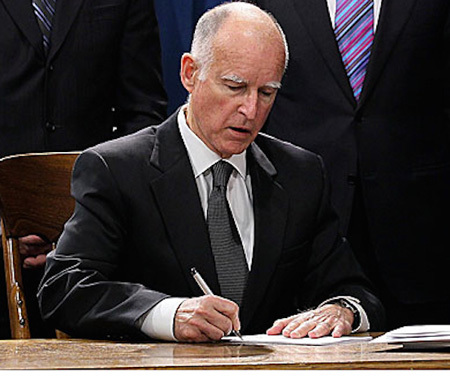 A major victory for the hemp industry, Governor Brown signed the Vote Hemp sponsored legislation Sunday, September 30, 2018, and the law will go into effect January 1, 2019, finally allowing California farmers to enter the rapidly growing hemp industry on a wide scale. SB 1409, brings California’s hemp laws up to date by adding pilot program status to California Department of Food and Agriculture’s registration program in conformance with federal requirements and striking outdated state statute provisions that conflicted with the expanded definition of hemp that includes extracts and derivatives from the non-psychoactive flowers and leaves. The bill allows California farmers to grow industrial hemp and to produce hemp seed, oil, fiber and extract. Read more..
Last Friday the DEA published a Final Rule placing any FDA approved drug containing CBD in Schedule V, the class for substances with the lowest potential for abuse. This was long expected after the FDA approval of Epidiolex, a Cannabis derived CBD drug developed to treat Dravet’s and Lennox Gastaut syndromes. The HHS recommendation from Assistant Secretary Brett Giroir was sent to DEA on May 16th and contains full details on the analysis and recommendation. You can read the full recommendation here. The conclusions are good news for the industry as HHS and FDA have acknowledged that CBD does not meet the requirements for scheduling under the CSA.However, the fight isn’t over. The DEA asserts that except for Epidiolex, CBD is a Schedule I controlled substance and that it is still considered to be a dangerous drug. The DEA also claims they must keep CBD scheduled due to treaty obligations under the United Nations Single Convention Treaty. WERE HEMP EXTRACTS EVER REALLY SCHEDULED? The 2014 Farm Bill definition of hemp clearly states “notwithstanding the Controlled Substances Act” at the beginning and goes on to define hemp as all parts of the plant. When grown under a state regulated 7606 program, hemp is not marijuana and is not controlled as marijuana under the CSA. DEA’s claims to the contrary are incorrect as we have stated before but we have yet to get a court to rule on this question. The World Health Organization (WHO) Expert Committee on Drug Dependence recently conducted a review to determine if CBD should be scheduled internationally. They concluded that pure CBD should not be scheduled and sent their recommendation to the United Nations (UN). If this recommendation is adopted by the UN, the DEA will no longer have an argument to maintain control over pure CBD. The Hemp Farming Act is the game changer. It clearly removes hemp from the CSA including extracts and cannabinoids. The HHS analysis of CBD proves that it should not be controlled and gives good reason for FDA not to take any action to block hemp derived dietary supplements. The industry will still likely have a fight on its hands as GW Pharmaceuticals tries to establish a monopoly on their CBD drug Epidiolex but this recommendation is a big step forward towards full legitimacy for hemp derived CBD.